Note: It’s generally better to make the debian.img too large rather than too small. qcow2 images are fairly efficient meaning unused space is not allocated and won’t waste space on the host machine. Almost there… it’s time to boot the installer. Once you have everything installed can remove the final -drive option. There’s no problem if you don’t remove it though. 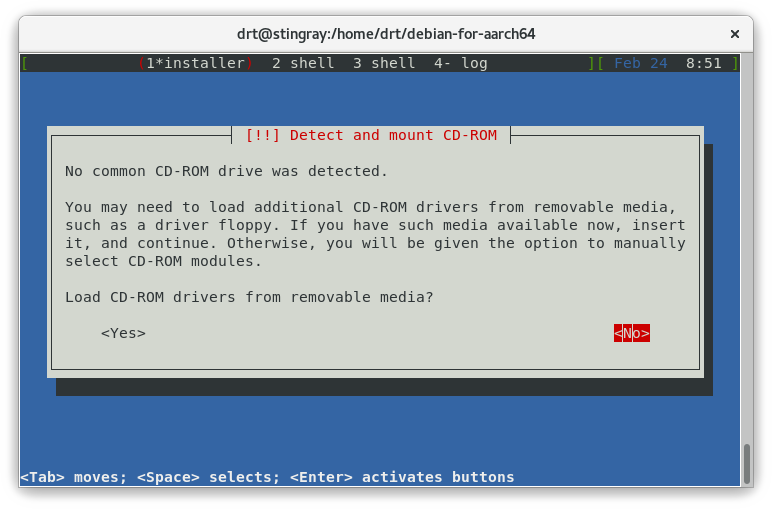 The default boot device after installation is recorded in the varstore (that’s why we created it) and will be the Debian install inside debian.img.